Are you looking for a 14ft trampoline? Well, look no further because here at Trampolines Online, we have a variety of 14ft round trampolines for you to choose from. All of our 14ft round trampolines that are shown above are from some of the UK's biggest trampoline brands such as Supertramp, BERG, Telstar, Jumpking, Plum, Cortez and much more! No matter how big or small your garden is, our quality range of 14ft round trampolines are suitable for any size garden. Your children's safety is our main focus, which is why we have built-in safety enclosures on most of our 14ft round trampolines. The reason for this is because we want to make sure that your children play safely when bouncing on our trampolines. We strongly believe that all children should be happy, healthy and fit. Which is why we promote ‘Exercise through Play', our 14ft round trampolines are a fantastic way for your children to stay healthy and active whilst having fun! Whether it's a sunny afternoon, having friends over or a birthday party, our selection of 14ft trampolines are suitable for any occasion. All of our 14ft round trampolines are available to purchase today as they are all on a big sale. 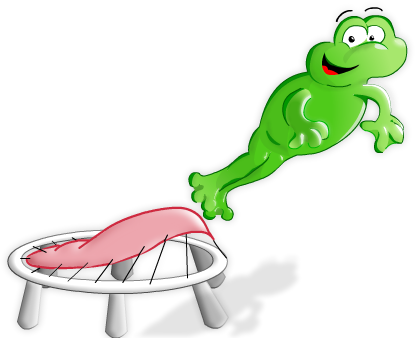 Save up to 42% when buying a trampoline from us! Don't miss out on our fabulous range of 14ft round trampolines. To see more of our other exquisite range of trampolines such as our 8ft round trampolines or our 10ft round trampolines, click on the links. Here at Trampolines Online, we strive to keep all of our customers happy through our trampolines. We believe that our quality selection 14ft round trampolines are ideal for you and your children to have for any occasion. If you would like to buy a 14ft round trampoline today, contact us via email (sales@trampolinesonline.co.uk) and one of our friendly team members will respond to your message as soon as possible. Needless to say, that Trampolines Online are one of the best suppliers of trampolines for sale.